Due to the fact that the Spring Equinox energies are already “up in the air,” I feel guided to point out a few things that are important to be aware of as we go through this very potent gateway. As always, during such powerful events there is a lot of energy movement, so you might have to take “extra” care of yourself, as in make sure you stay grounded/connected, centered and hydrated. The areas where we might still be holding some resistance are being brought to the surface these days, until they will be dealt with and released. This is happening based on our Soul choices, growth and for our greater good. Try not to get too serious about this releasing work and make a big deal out of it, cause it is not. It is merely a natural process we have to go through in order to transcend into a more harmonious state of being. I think the best way to approach these moments of release is through a playful manner. The Ascension process is much more than releasing/cleansing, this is merely a very tiny part of it, so it’s important to not get stuck on focusing more than we should on this releasing work. Overtime and in my sessions as well, I’ve noticed that because of the constant focus on releasing and a constant “there’s always something wrong with me” attitude, people create more experiences that reflect their focus. There needs to be a shift in focus and perspective as well. We can shift easily, quickly and with grace, you just have to allow yourself to do so and flow with it. Over the course of history many philosophers said that “A wise person knows he knows nothing.”. I don’t disagree, I understand why they said that, but at the same time I think a truly wise person knows himself and knows his Truth and at the same time is open to new understandings and higher Truths. As we progress on our journey, our Truth is most likely to change as well. For example, at some point we might discover a higher truth that overwrites something we’ve known as Truth before. Those Truths were both true and both valid in the moment, but each truth corresponded to a different level. That is why it’s important to keep our minds and hearts open and constantly let go of things that are not of resonance anymore in order to make room for the new ones, because when we “level up” our perceptions and perspectives change. When we live through our Soul, this happens naturally and effortlessly, but at the same time, we have to know and own what we know to be true and become an embodiment of it, “walk the talk” as they say, without trying to force our Truth on others. First of all, because it won’t work. Each person has its own journey and we have to learn to respect it and give them space to discover what is Truth for them. I know many lightworkers tend to force their understandings and knowingness on their family/loved ones, but it’s pointless and most of the time it’s causing exactly the opposite of what you intended, which is confusion and negative reactions, so you’re doing them and yourself a disservice. The best you can do is to try to “plant seeds” if you are so guided, but at the end of the day their Higher Self chooses when it’s best for them to remember and awaken to who they are. The power of example is much more effective than forcing your truth on them. The Truth theme is big part of what’s going on in the collective energy right now. Personally, me, my Higher Self and my Team have tested me often in that area. We have been challenging me in my Truths for two primary reasons: to either assist me in overwriting an outdated one that no longer serves me, or to fully integrate and embody an existing one on a deeper level. I am pretty sure many of you can relate to that and some of you will experience and are experiencing tests like that these days. Often times our discernment is challenged by others around us as well, so make sure you always check within, with your own inner compass, your heart, your own guidance. Let’s say, for example when reading this article don’t take everything I wrote as truth, if it resonates with you it’s basically just a confirmation of what you already know in your Heart. If it doesn’t resonate that’s perfectly fine, simply move on. We have to learn to respect each other truths and differences in general and don’t let these differences become walls between us. We did that in the past and the outcome of it was an illusionary separation and all that came with it. All for a reason, all for a purpose, but Now that we are over it, we have to make heart based choices. Truth is always found within. Everything you will ever need to know is within you. Yes, along the way you can learn things from the outside, use the outside to confirm things you already know in there somewhere, but at some point you reach a certain level that allows you to know and to fully trust your own Heart and Soul wisdom at all times. That’s when you truly start living as a Soul empowered individual. This Equinox article will be continued in a second part. I hope you have a wonderful day/week and talk to you soon! January seems to come with many surprises, and I am still in awe that it’s only been 12 days of 2015. We have experienced some huge shifts in a really short period of time. Around January last year, till March, some of us were called to “plant seeds” for the Era of Love that is unfolding now, amongst a lot of transformation and transmutation. This year seems like we are doing the same, but we’re more focused on the manifestation aspect of the New and there are far more awakened people than before. This is all multi-dimensional. If in the past few weeks, even months, things seemed a bit too chaotic, from now on everything will flow easier and fall into place. As you shift within, it will also be reflected outward, so just trust that wherever you are Now and wherever you are headed is in alignment with your highest good and highest interests. Feel it with your Heart. Isn’t it so ? Whenever you are in doubt or confusion, go back within your Heartspace. Stay centered, your Soul knows what’s best for you. You know what’s best for you. Don’t sabotage yourself with toxic thoughts and emotions anymore, leave that behind if you haven’t already. It’s unnecessary baggage. Soar Now in your newly found Freedom and Harmony with the knowing that things are just as they should and always will be. Usually before I sleep, I take a few moments to relax and meditate. The other day when I was doing that, I was being showered – literally – with a lot of golden/rainbow-ish energy. As usual, I was anchoring and grounding all of that into the Earth. 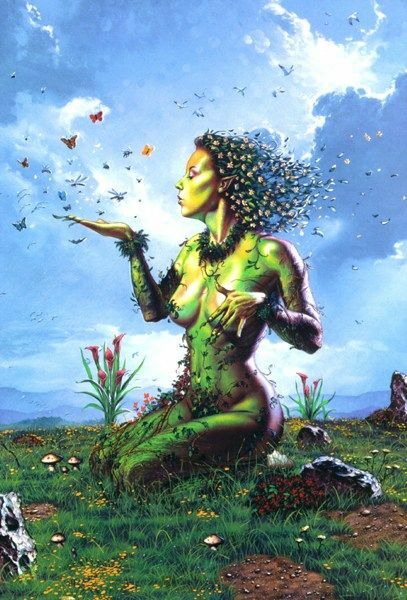 During that, I saw a vision of Gaia blowing me a kiss in the shape of an Emerald Green Heart. That was so beautiful. The image above looks a lot like my vision except there was a lot more Emerald Green in it. It was her way of expressing her gratitude and appreciation for assisting her and anchoring such harmonious energies, while I was holding the same gratitude and appreciation for her ever-loving and nurturing aspect. It was such a beautiful energy exchange going on, I still feel it. I carry this uplifting feeling within me Now. Also, she keeps sending me her beautiful Nature messengers to guide me on my own path, confirm things for me in mind-blowing synchronous ways. Just the other day I was seeing 3 flocks of storks flying high in the sky, it is not even their period of migration, I was really in the right moment at the right place to observe their flight. Their message was clearly all about “birthing the New,” and I am truly grateful and humbled by the gifts I am being given in the form of Nature Messengers. That night I was working on the Inner Planes a lot with Mother Mary as well, the Mother Consciousness plays a big role in grounding these energies with ease. ~ The obvious Light codes that are incoming and the new waves of energy, which is not very “new,” it’s more that we’re able to tap into that Now, because the vibrations of the Earth and also of the Collective are visibly a lot higher than they were even a few weeks ago, well even yesterday. Also to benefit from these magnificent energies and experience their full effect, grounding is necessary. ~ There are also some Grid upgrades going on. It’s actually about more people awakening and embodying their Soul essence in physical incarnation, and so when that happens, the Grids are adjusting to that, resulting in even higher vibrational grids. This will obviously have a big effect on our Collective and Individual choices and events ~ Expect Miracles. „ With this occasion, I want to share a grounding exercise I do. Since the cold weather is here, in the Northern Hemisphere, most of us won’t be able to go in Nature very often or place our bare feet on the ground, without feeling like we stepped into the fridge. This is a simple but very helpful visualization exercise. Sit comfortably and take a few deep breaths (this will also get you centered). Visualize yourself standing with your bare feet on a field, mountain or river etc. and your energy body becoming visible. Feel it. See a thread going from the root chakra, through your legs, feet chakras, earth star chakra and into Earth’s Core. Spend a few moments feeling it, feeling your connection with Gaia. P:S: Don’t worry if you can’t visualize all that well, at the end of the day it’s about feeling it really. I want to point out that even these energies are more harmonious and gentle, if you have things you need to release and let go of, these waves will bring the unhealed parts of you to the surface, so you can transform it in Love and with Love ~ only to reach a deeper state of joy and happiness. The 11/1 gateway/portal/however you want to call it, really did challenge some of us to transform and transmute some internal/external conflicts. As always, it’s all for your highest good. If you feel like there’s something holding you back from soaring, take a few moments to relax, call upon your Teams to assist you with clearing and transmuting all of that. Feel it. What is it ? What’s causing you discomfort ? Observe. Be honest and true to yourself always. Sometimes others will act as triggers and mirrors for the stuff that you need to let go of, which are often perceived as “negative” in the moment. In truth, you have asked to be joyful and happy, isn’t it so ? How would we F.L.Y (First.Love.Yourself) if we carry heavy baggage within that needs to be let go of? The experience it is for you to acknowledge that which you might not have been aware of before. That is exactly the reason you and the other person/people made that certain agreement. We heal each other, eventhough sometimes it looks like the opposite of that. Things are not always what they seem to be. As always, call upon your Teams(or whoever you are comfortable with) and invoke the Violet Flame/Saint Germain to help you transform and transmute all that no longer serves you. Or use your own methods to get this done. Whatever works for you in the moment is perfect. Discover. Remember ~ All is well and always will be. 2015 hasn’t even started that long, but it’s already showing its magnificence. As a result the Full Moon (Wolf Moon) on the 4th of January, that facilitated a deeper cleansing and transformation, embracing more of our aspects and becoming Whole on All levels, a huge shift happened. On the 7th of January my teeth were hurting really bad and from what I can tell, teeth are like magnets for energy that needs transformation. Eventually, I soothed my pain, transformed all that with some Violet Flame energy work and with the assistance of my Teams. Then on the next day, January 8th, I was just doing my daily thing, nothing out of the ordinary, just taking time for myself, meditate or whatever I feel guided to do in those moments. So, I connected with some of my Aspects, Teams and other Beings, relaxed to just see what comes through. The next thing I know I am being bathed in this rainbow energy and my chakras and energy field expand once again. I feel this gentle energy anchoring deep within and then I ground it into the Earth. This is not the first time I am working with this serene rainbow energy, but this time a New Higher Level has been reached. What I am receiving about it is that this is a Rainbow Activation. 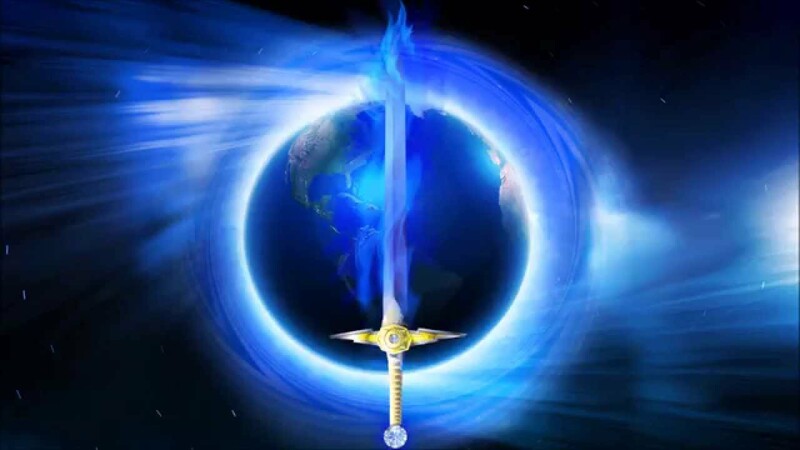 Synchronistically, Gaia Portal has posted this just now “Star Children are born again” , you can click on the name to check it out. Anyways, the whole time I was receiving this activation, all I could hear was the word “Harmony.” This is the main characteristic of this rainbow energy, which is a representation of the New Earth that is currently manifesting physically. This wave felt like a „Gift” for the inner work, constant service and dedication we have shown, and what I am feeling is this is just a small preview of the many blessings that lay ahead. With this wave came Light downloads, new understandings and my perception has been expanded once again. This was definitely a „Graduation” and I know many of you have been experiencing it too. I am merely sharing my own personal experience of it. We are all experiencing these activations/upgrades in our own unique ways. I think what’s most important to keep in mind during these moments of integration is making sure you are grounded into the Earth, otherwise these waves of energy will just float around you. You will not anchor within yourself, embody and internalize all that, basically you will not fully experience it, unless you are grounded. That’s one of the reasons grounding is such an important aspect of our Ascension. The messages in dreams and visions have also been very clear and vivid. We’re definitely doing a lot of intense work during sleep time too. What I have been shown in my dreams a lot lately and what I feel guided to share is Ouroboros. To read more about it you can click here. I think this is a pretty clear message about the process we are undergoing right now: DNA Activations, Kundalini rising, but also embracing all of our aspects becoming Unified/Whole as New Divine Humans. We are going to see more of this in this next period of time as they will amplify. Make sure you give yourself enough time to rest, relax and also hydrate, so these integrations/activations/upgades can happen smoothly. Your body ~ Your temple. Another message Spirit has shown to me are nature messengers ~ the beautiful blackbirds. Spirit really wanted me to get this message out there, in the past 2 days I have seen 3 blackbirds right in front of my window, looking at me with curiosity, shaking their feathers like they were dancing. I have expressed my gratitude for they were confirming some things my Heart was feeling, their message was very empowering for me. The message of the blackbird for me was that since 2015 is the Year of Self-Discovery, Self-Mastery and Creativity, many people are going to kick it up a notch as they progess on their Divine Soul Mission. Creative Ideas, New Skills, Abilities(maybe more like discovering/activating the skills and abilities you are already carrying within your DNA) and New opportunities that are in alignment with the New Ways will manifest effortlessly now, but it takes courage, dedication and a choice to follow your Heart and Intuition/Inner Guidance at all times. This shouldn’t be so hard as it is part of our natural state of Being to do so, but it does take self-mastery and just allowing things to to unfold at their own pace. We are our Soul Mission and you can’t fail at Being. This is what what’s-your-sign.com is saying about the symbolism of the blackbird. “The symbolic meaning of blackbirds is eternally linked to the “dark vs light” phases of the moon. I’m talking nocturnal awareness. Illumined lunar understanding which requires a different use of the senses. Sense which can only be utilized when transformative devotion is made. A commitment to higher knowing (flight) and an acceptance of the void (infinite vastness that eludes the ego and rational mind). This is a fundamental concept of alchemy which is: Transition and Transformation. The bird is symbolic of life in the heavens (higher ideals, higher path of knowing) and the color black is symbolic of pure potential. Between the two, there is no limit to human transformation – all we have to do is close the shutters of the rational mind, and start sojourning with our darkly feathered friends. To read more about blackbird’s symbolism you can click here. You have to ask yourself if these Spirit Messages mean something for you and what do they mean ? Maybe they have a different meaning for you, than they had for me. Or have you received any Spirit Messages/Signs that you might have overlooked ? Being aware of them is quite important, so make sure you pay attention to them. As always, use your Heart’s Wisdom to bring forth their significance for you. First of all, I’m sorry I haven’t wrote my last weekly message. I did not expect to be that busy. I know many others have been quite busy as well, not only because of the festivities, but because there were many energetic events in December and the Light downloads lately have been incredibly abundant. They left us with a lot to process, as we go through the beginning of this new exciting year. I know most of us have gone beyond linear time, I am merely using time as a reference point. But also, when there are big events that have a certain meaning for the whole Collective, huge breakthroughs are being made. For example, the New Year period’s deeper meaning, even if some people were not very aware of it, was all about letting go of what was, moving on and turning over a new leaf. I’ve noticed people are doing that even unconsciously and when this happens on a bigger scale, the shift will be as big and it really was. I think the New Year’s breakthrough was exactly the „push” the Collective of Huemanity needed, as it was all about embracing change and being less resistant to it. This will reflect in people’s actions, states of being and choices. I think it is quite hard to try and put a theme to this year, because each individual’s experience is unique, complex, multi-dimensional and shaped after its own divine pace and highest good. Overall, this year we will go deeper on our path of Self-Mastery, the Co-Creation of the New Earth as One and the physical manifestation of it. 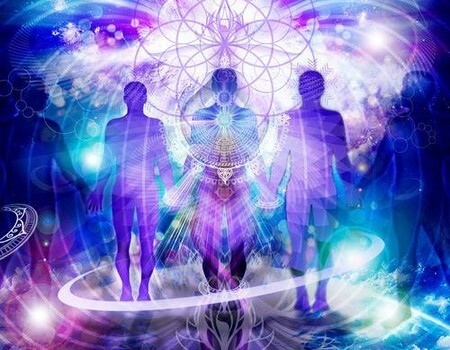 As more are stepping into their Divine Soul Purpose/Mission, which will now unfold naturally and will become a lot more clear for more individuals, the Collective Consciousness will benefit greatly from it. We are learning new ways of Being and Doing things that will eventually culminate with Peace and a Harmonious Balance. We are making steps towards that every moment Now. More are becoming Pure Source embodiment. It’s a bit like a chain reaction, people feel the contagious Pure Love Energy and they eventually activate it within themselves. We are only the Forerunners. This kind of changes may not be so evident to some, since they are pretty subtle, so emotions of frustration, impatience, irritation can come up. I’ve been feeling this on and off coming from the Collective. I’d like to adress this issue, since if I had a coin for how many times i’ve seen people saying „nothing is happening” I’d be richer than Croesus. There are many things going on all the time now, sometimes it’s even overwhelming(in a good way), the solution is living in the Now moment to fully experience and enjoy them. Step into your Power and don’t wait for events outside of you to happen, make them happen. Speaking of challenges, there will be challenges, but how else would we grow and learn without them ? Let this be a year of self-empowerment, manifestation and creativity. Create yourself in such way that your Soul will dance ecstatically in your vessel. Remember your Power as a Love/Source being in physical incarnation, your skills, your abilities. Discover. Work your Magic. Let go of all that no longer serves your highest good and F.L.Y. The time of great change continues and I think it’s pointless to try and predict how that’s going to look like. Look at it with excitement but no expectations. Most of us have learned by now that expectations only lead to dissappointment. I’ve been reflecting lately on how many things happened in 2014, it feels like a lifetime, but at the same time, it kinda just flew by. I have a few projects coming up this year I am quite excited about, all in alignment with my Soul Purpose. I have been receiving information about it around December and I know many of you have. The manifestation of the New Earth and all that involves it’s happening at an accelerated pace now, align yourself with your Highest Good and enjoy the ride. More Light anchoring within, more DNA Activations, more Divine remembrance, Heart Chakra Expansion, New Soul abilities and skills coming online, New Information about your Soul Mission are some of the few things that are currently happening which will only going to intensify as we go through the 21/12 Portal, but also throughout 2015. December is obviously not letting us down and it’s such an amazing opportunity to finally make that breakthrough towards a Greater State of Being filled with Joy, Peace and Greater Balance within->outward. I know it’s holiday season and many are busy with preparations of all sorts, however if you feel guided to take some time for yourself and spend more time nurturing yourself, please do so as it is highly recommended. Discover/Create New ways of navigating through these feasts, without getting caught in the chaos and stress of the preparations. At the end of the day what are the holidays all about ? I would say it’s all about a deeper feeling of Joy, not stress and chaos. “ Simplicity is the ultimate sophistication. “ – Da Vinci. Please keep that in mind. With all the shifting your Physical Body is going through to eventually become a Lighter-in-density Physical Body, you might be needing more time to sleep and rest, so stress won’t be very beneficial, it never really is. Also, to easily receive the Solar Codes from this recent Solar Flares, it’s very important to hydrate, water facilitates a gentle flow of energy. I’ve had a dream the other day, which I feel guided to share as it’s quite significant for these moments we’re in, plus I dreamt the same dream twice consecutively, the second one slightly modified. It was a very detailed dream, but the details don’t matter. Basically, I was with my ex-classmates in a forest and we were chased by a bear. They found an old cottage and said they want to stay there overnight and I was like “Are you guys nuts? I won’t stay here, he can easily come in. “ We were staying at a hotel, but to get to the hotel I had to go through the forrest, but I was thinking that it’s not the best idea to go through it, so I jumped over the forrest and let myself carried by the wind but at the same time, I was jumping and guiding myself with the help of the trees. I made it out to the Hotel, I remember having some conversations and then I woke up. I fell back asleep and dreamt the same dream, except classmates found a tent, I was chased by two tigers, they were right behind me, I could see them, I wasn’t scared, I just knew I had to go over the forrest. This time I was letting myself carried by the wind completely, I closed my eyes and in that moment all I could feel was Peace, Serenity, Freedom and Complete Trust. That moment was so deep and it brought with it so many feelings, it was overwhelming. This was a very vivid dream. I eventually arrived in a different location, to the house of a person I know. Anyways, the whole message behind this dream is clearly reaching a state of complete Surrendering, Divine Faith and Trust that all is well at all times, that whatever happens and wherever we are headed is in alignment with our Highest Good, which will effortlessly manifest if we allow it. That doesn’t mean you have no say in it, completely the opposite. You are a Co-Creator, you are creating yourself and the experience you want to create for yourself, it’s simply that you stop trying to control the outcome, and you let go of control in general. There is nothing to worry about, ever, all is as it should. Easier said than done I know, it doesn’t have to be complicated either, you can make it easy or complicated, your choice. There are simple tools to set your intentions such as “ I AM … “ affirmations. Your intentions are powerful and they will manifest if it’s in alignment with your Highest Good, just let go of expectations and simply allow it to unfold naturally. Use your Heart Knowledge and Wisdom to co-create. That is why we’re here, to become the Masters on Earth we already are really, the highest version of ourselves in Physical Embodiment and that takes dedication and perseverance. 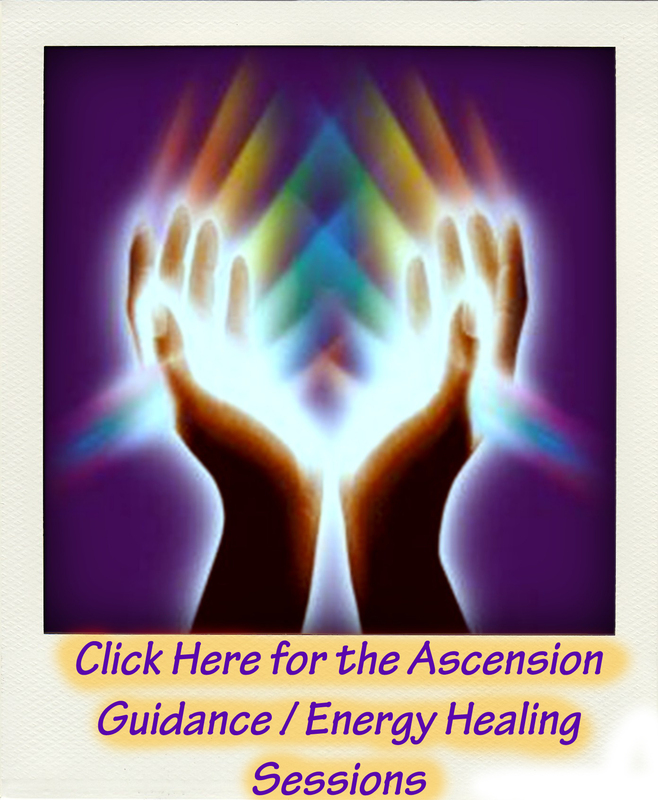 As we are entering the 12/21 Portal we are taking a big step towards that. At the same time, we have to let go more and more of what no longer serves our Highest Good. This is the main theme before Light Portals. Just as we do preparations for the holidays, so are we doing preparations for the Portal by letting go and some final adjustments. You may be feeling irritation, sadness, anger, fear etc. All is well. Just let go, let go, let go. These emotions/thoughts are surfacing for you to finally deal with them and release them. These Old Patterns keep showing up to you and it may seem endless, however if they are still there it means you’re still holding onto something no longer necessary to you. 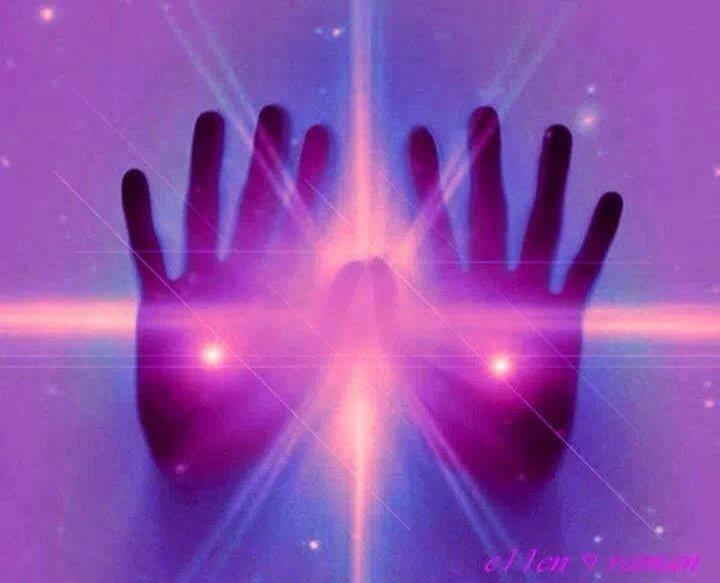 Sometimes they are not even yours, but they come to you because you have the ability to transform them with Love and Compassion, and the Violet Flame which is available to you 24/7, so are your Spirit Guides, Angels, Galactic Teams, Higher Self etc. ~ Ask and you shall receive ~ Express your Gratitude. You are so Blessed! There are many things going, which I am going to speak more about in my weekly message on Monday. For the time being I am guided to take some time for myself. so the necessary integrations/activations of the 21/12 Portal to take place easily. Exciting moments are ahead, however there’s no moment more exciting than this Now moment. Christmas is really coming early! I hope you enjoy and take advantage of the opportunities of this very empowering Solstice gateway. December is here now and it’s so exciting for so many reasons! This month has always been the culmination point of breakthroughs and quantum leaps. At this point, most of us have learned to enjoy the rollercoaster ride, instead of fearing it, because we’ve learned that there is nothing to fear. Ever. No matter how real fear can look sometimes, it is and always will be an illusion. If we’d be aware of that simple Truth in every moment, our experience would be a lot more joyful. By being aware, we are taking responsibility for the frequency and vibration we are embodying and bringing into the world. That is an important step of Self-Mastery, because as we go through this Ascension process, our manifestation abilities increase, therefore we create our experience a lot faster now and shaped after our Consciousness. Your focused intentions are very powerful, so set clear general intentions about what you’d like to experience and let them manifest in front of your eyes. Ask to be aligned with your Highest Good in every moment. Be open and have no expectations as to what that looks like, because most of the time it’s never as we expect it to be. Another thing that it’s important to keep in mind as we go through this week, and of course not only this week is detachment. We are collectively releasing some old dysfunctional patterns and “themes,” especially around the family area and unbalance between male and female polarities. It might not seem like it in the moment, but all this will only lead to a greater Harmony. Be the Observer and don’t take things personally. Let go and don’t cling onto the Old. The Key is to stay present in the moment of now. As you stay fully present in the moment, the Old will fade away fast and smoothly. If you are noticing resistance in any aspect of your Beingness, Surrender! Surrender to your highest good and highest outcome, which ultimately means living a joyful life for most of us. When you’re not resistant, you become a conduit of Pure Divine Love and that will inevitably reflect your actions and experience. Being in that state of Love is the greatest gift we can give to the world, it is our natural state of Being and what truly means to be yourself. We have a Full Moon in Gemini coming up this weekend on the 6th December. This is an auspicious time to just take a break, lay back and just enjoy the ride. The Gemini is the ultimate social butterfly of the zodiac, so it’s also a good time for communication. You might feel like engaging in conversations that are inspiring to you, have a friend or family come over and just relax. What’s important is to make sure you ground yourself, as the Gemini is an Air sign and sometimes it can make us feel “all over the place”, chaotic. Eventhough it is the last month of this very intense year, it looks like December will be a month full of wonderful blessings and opportunities to close old chapters of our lives and start new ones that are more aligned with our Soul. Let’s make the best out of this one!